The E.C. 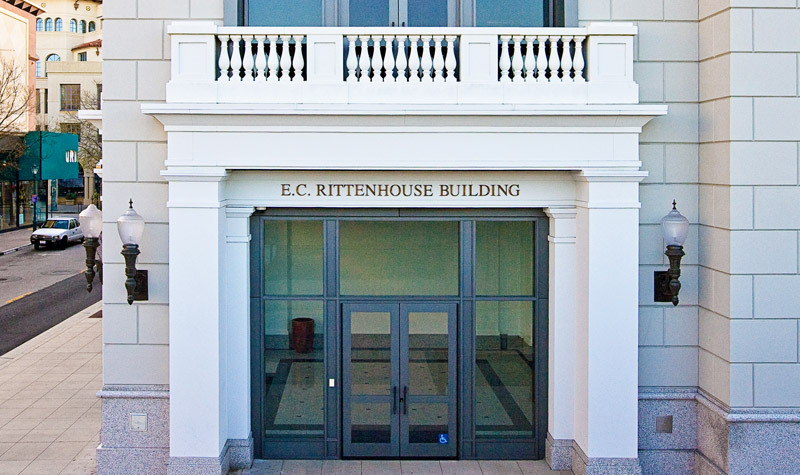 Rittenhouse building is a landmark project at the corner of Pacific and Church Streets in downtown Santa Cruz. It features a distinctive architectural style and 62,000 sq. ft. of shopping and office space. 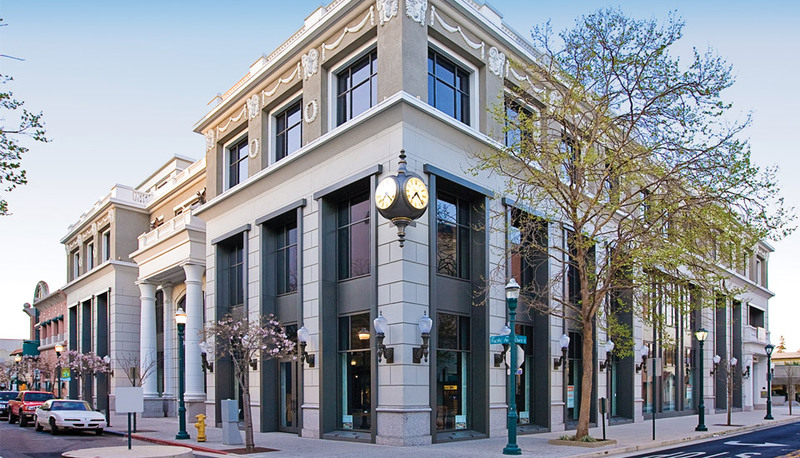 The high profile project was built on a lot with no staging or storage areas that is tightly hemmed in with other retail tenants, a busy intersection and a highly trafficked city parking garage. The logistics were daunting. During construction Slatter remained in negotiations with the City to allow the building to proceed smoothly as building plans changed on the fly. The building’s ground slab was the largest single cement pour ever done in Santa Cruz County. The work went perfectly on an early morning made festive with free donuts for the public and neighboring businesses from Slatter Construction. The property owner collaborated with Slatter to design and build a structure to suit this historic site. 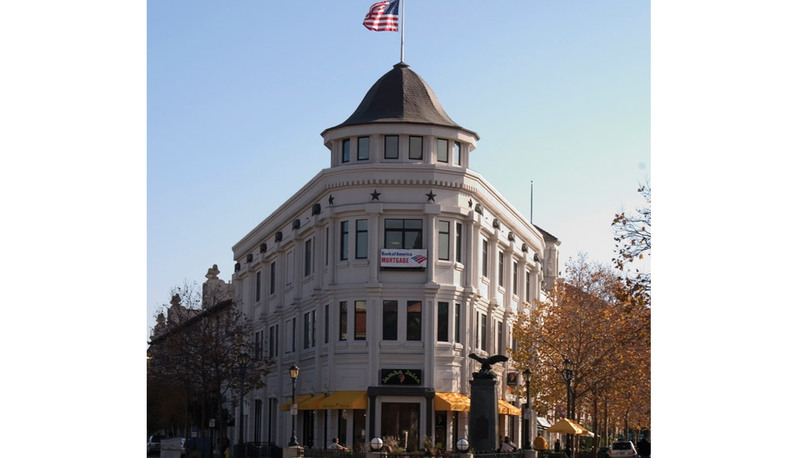 Situated at the entryway to downtown Santa Cruz, this commercial area was devastated by the Loma Prieta earthquake. The finished building is an architectural statement that was built, and continues to operate, cost-effectively. *Note that the building is hemmed in on all sides. Slatter used its own parking lot a mile away as the construction staging area.